I went to Queen Elizabeth National Park and Kalinzu forest in Uganda for observation of wild chimpanzees and other primate species. In Queen Elizabeth National Park, I was so much impressed with landscape (savanna, valley and lake) and wild animals (elephant, buffalo, hippopotamus and many birds), although I couldn't see any chimpanzee in that park. 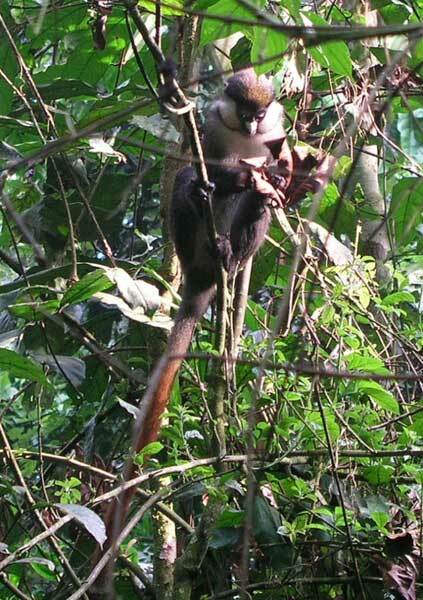 In Kalinzu forest, I could see chimpanzees, baboons, black and white colobus, blue monkey, red-tailed monkey and L'Hoest's monkey. 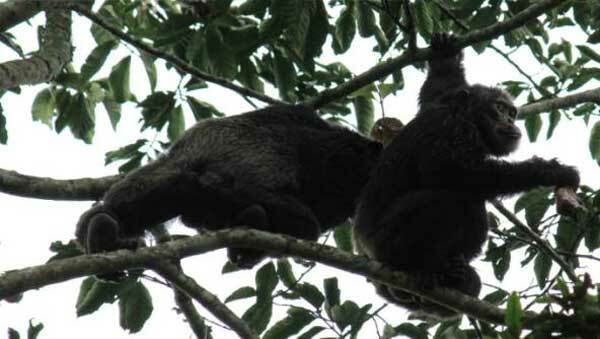 Except one day's L'Hoest's monkey tracing, I traced chimpanzees with local tracker. One day, I could observe that chimpanzees succeeded in hunting a young black and white colobus. One tracker, Saja, could recognize vocalization of chimpanzees' hunting party and finally we could find them which were eating a colobus. But unfortunately, we couldn't see their hunting process. When we found them, one chimpanzee, Tange, was holding the colobus and another chimpanzee, Deo, was begging for it patiently. Deo begged Tange for the meet for more than one hour but Tange didn't share it. It was interesting because Deo was really patient for begging. If I were Deo, I could never do like Deo. The aim of this trip was training in every respect of field research and my future research and having experience of watching wild chimpanzees. 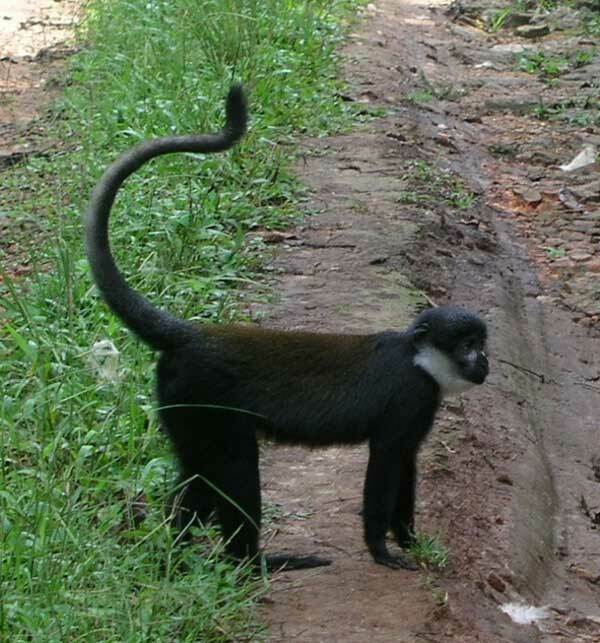 Some days, I couldn't find any chimpanzees for several hours and other days, I had to walk several hours to follow them. Through experience in Kalizu forest, I realized that conducting wild animal research is not easy and needs a lot of patience. I am sure that this short trip was really useful for me and will help my future study a lot. Tange(male) and Deo(male) Tange didn't share black colobus with Deo.